Huh? You can disable unwanted features in a Microsoft product now? Don’t like Cortana? Well, in an interesting about-face for Microsoft (which has an unfortunate habit of not caring about your free choice with Windows 10), a new software update for the Xbox One preview build allows you to opt out of Cortana and reinstate the earlier voice commands. Cortana, named after Master Chief’s AI companion from the Halo series was originally introduced for Windows 10 and Windows Phone platforms as Microsoft’s own cloud-enabled response to Google Now and Siri. With its outing on Xbox One, Cortana’s set to offer a much more personalized and aware voice control system. What’s surprising about this update, though is not so much Cortana’s inclusion, but the fact that users can opt out of it. Microsoft has increasingly drawn flak for it’s walled garden approach to Windows 10, first with mandatory updates, and then with the atrocious UWP platform for games. The update is labelled rs1_xbox_rel_1608.160710-1722. Have a look at the full patch notes down below. If you’ve signed up for the preview, you can follow the forum thread here. Thanks for helping us test Cortana on Xbox One! We’ve received tons of excellent usage data and feedback, leading to dozens of improvements. While we continue to train Cortana, if you choose to opt out of Cortana, the “Xbox…” legacy voice command will be enabled. o Headset voice control support will be disabled. o Voice dictation will be disabled. o Universal Windows apps voice features will no longer function. 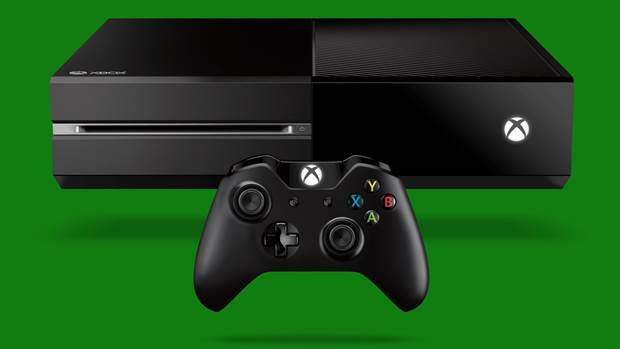 o Only “Xbox…” legacy voice commands will be recognized. If you wish to opt-out of Cortana and use the “Xbox…” legacy voice commands, launch the Guide, navigate to All Settings > System > Cortana settings, and flip the first toggle to Off. At this time we’re also disabling Cortana for France, Italy, Germany, and Spain, as support for these regions was only planned to be available during this preview period. For now, please continue to use and give feedback on the “Xbox…” legacy voice commands in these regions. • You can now redeem a 5×5 code for Xbox Live Gold on the console. • Resolved an issue which caused the Store to fail to display the correct content when using certain language and region combinations. Resolved an issue which caused no audio or microphone output from a headset when plugged in. Resolved an issue which could sometimes cause stuttering or framerate lag in Netflix. • This build contains a fix to address EA Access vault games failing to launch due to error 0xc03f6508. If you encounter any further issues launching EA Access vault games, please submit feedback via Report a problem. • This build contains a fix to address EA Access vault games failing to launch due to error 0x803f8003. If you encounter any further issues launching EA Access vault games, please submit feedback via Report a problem. This build contains a fix to address issues with notifications sometimes failing to appear (including for party invites, game invites, and unlocking achievements). If you encounter any further issues with notifications failing to appear, please submit feedback via Report a problem. Resolved an issue which sometimes prevented box art from appearing on games during installation. You should now be able to buy and rent content from within the VUDU app. • Users are able to select their own Gamertag at no charge once per account. After this you will be charged for future Gamertag changes. In the current update, any free Gamertag changes will complete successfully. Attempting to purchase a Gamertag change will charge your account, but will not change your Gamertag. Please avoid purchasing a Gamertag change on Xbox One at this time. To successfully change your Gamertag, visit https://account.xbox.com/ChangeGamertag. • If this is your first time downloading an update which supports Cortana, upon powering on the console, the “Xbox…” legacy voice commands will still be recognized but any actions will fail. Workaround: Launch Cortana from My games & apps or Snap Cortana from the Guide.